Register Now – Women’s Writing Circle Begins Friday, February 15! Are you a woman who writes (or would like to write) who would enjoy being a part of a supportive community of creative women who desire to express themselves more intentionally? Perhaps you are the woman who would be grateful to use more effective, purposeful writing to support your passion – be it your business, your social media, your blog, your novel, your poetry, your journal writing – and for whatever reason you just haven’t gotten your words out yet. Maybe you don’t write consistently because you don’t enjoy it very much. 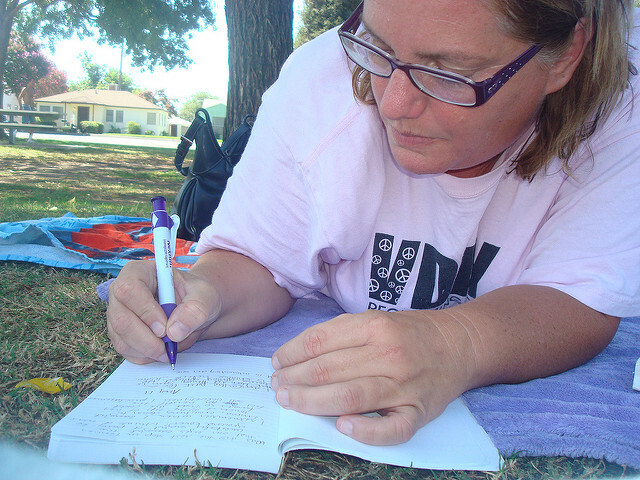 Maybe you find writing to be a chore, a to-do on the list that rarely gets done. it is for these reasons and more I am motivated to offer another session of The Passionate Purposeful Women’s Writing Circle. While there have been Writing Circles in the past, this is a fresh start, a new experience for you passionate content creators who are ready to write within a dynamic community of unique yet like-hearted women. Have you been looking for a group of women who will welcome you in all your weaknesses and strengths? Have you been seeking a creative community filled with entrepreneurs who actively engage with wonder, passionate purpose and profound respect? We believe with our whole selves you are here both in this group and in the world for your individual life purpose. We see our interactions with you here in the Women’s Writing Circle as an honor. What a joy to watch your purpose take form through your effective writing and communication! are energized and intrigued by the dynamic notion of creating within an online community, a webinar platform combined with a facebook group. recognize there will be an increase in positive results when you work alongside a group of like-hearted companions aiming at similar goals. understand passion and purpose are the fuel to authentic, transformative work of any kind. have unique, heart opening stories to share with others. 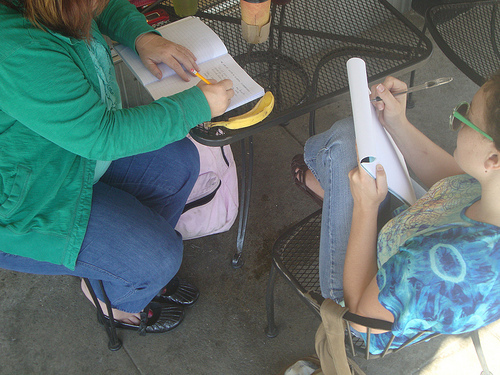 We understand the value of stories and are willing and ready to expand our knowledge and abilities in the story realm. respect and honor their process and the process of others. Because of this, we enjoy sharing our unique path to progress while simultaneously exploring other methods and practices. delight in growth and discovery while also understand we sometimes have creative blocks which are greeted, in our circle with love, compassion and non-judgment as we work together to dismantle the obstacles that may (or may not) occur. thrive in an intuitive, soulful space where there are not wrongs or rights, there is engagement, flow, movement and play. may or may not consider themselves as writers and who may want to use a book as a promotional tool or simply write more effective social media posts or may want to finally understand the concept of using stories and storytelling in their journaling, videos or business materials. 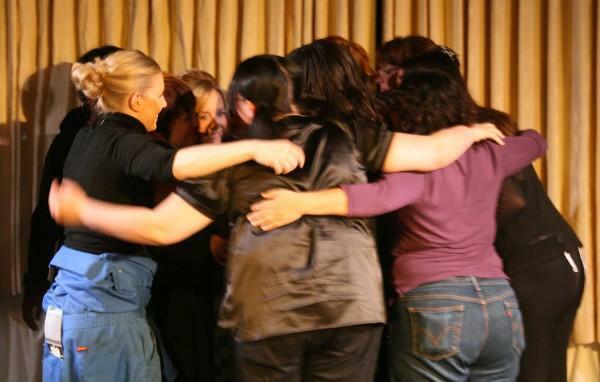 We focus on inclusion and individualizing our program according to those who are in it rather than expecting everyone to be another cog in another wheel of “one way only.” This circle of Passionate, Purposeful women is not a “one way or one flavor or one anything” sort of place – unless that one thing is infinite love. I have been helping women and men, creative professionals, healing artists, teachers and entrepreneurs to end writers block for nearly two decades. I have done this work via writing workshops both in person and on line and via one-on-one coaching. It is difficult to put into words the feelings I get when I see people experience writing breakthrough: next to giving birth to my children, I can not imagine a more thrilling experience. In addition to assisting people to write books and create blogs, poetry, plays and journal freely, we have ended the blocks many entrepreneurial creatives have as well. Finally, writing social media posts, video scripts and writing that caption tricky caption is much easier for the solopreneur within our writing community. From here, these entrepreneurial writers may finally experience the freedom they’ve always wanted from their writing efforts. You may be thinking “The writing circle sounds great but I don’t know how to use punctuation correctly, I’m not the standard writer: I’m a list maker (or whatever other label you may use to set yourself aside as different than the norm…”). You are welcome at The Passionate Purposeful Women’s Writing Circle. Together we will strengthen what you write best. We will mold and craft your writing in your unique style so that you will reach your audience and your readers with more confidence. 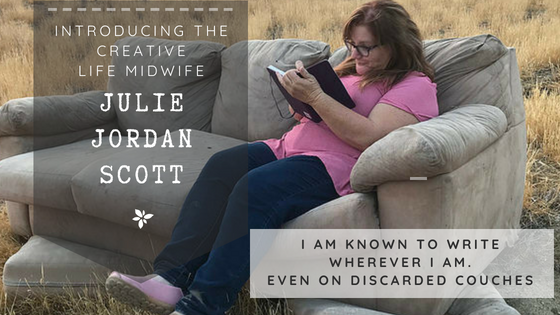 Believe me when I tell you how busy I am as an entrepreneurial advocate artist mom – this is exactly why I created Set Your Words Free: 5for5BrainDump and the 5 Minute Writing Magic Podcast. Is writing amidst everything else in our busy lives always perfect? No – but what is? One of our sayings in the Women’s Writing Circle is “Progress is the New Perfection.” Without being willing to make simple progress, you will be perpetually stuck. None of us want that for you. Devoting yourself to the group will help you to begin managing your time, among all the other benefits from being an engaged community member here. My response is usually something like this (and I hope it doesn’t sound condescending – that is not my intention.) “Congratulations: you are part of this wild and wacky bunch of creatives! ‘Other people’s standards’ are probably not the standards of the people you want to work with or who would want to read your book, visit your blog or interact with your content, anyway. I hear the argument often. I respectfully disagree. I firmly believe we all have stories to share with the world. Some of us have a singular story. Still others have a unique solution to help other people. The consistent bottom line: We all have stories or a story or a unique solution within us. I want to be sure you read that. We all have stories or a story or a unique solution within us. YOU have stories or a singular story or a unique solution within you: some you don’t know yet that I can’t wait to discover alongside you! This is true even if you don’t consider yourself “the writing kind” and no one will take you seriously because your writing isn’t like everyone else. You have a unique story to tell, an important one, even if you’ve been unsuccessful with marketing for your business. It is true even if you haven’t been able to maintain a blog that anyone reads. Even if you can’t imagine writing a book and a best seller seems hopelessly out of reach it is still true: you have an important message the world is ready to hear. Your message, your story, your words – are significant enough to take the time to engage in writing within this supportive, encouraging community of writers who believe in you even when you don’t quite yet believe in you. I can tell you with confidence when you are an active part of the Passionate Purposeful Women’s Writing Circle you will receive the tools to write with increased confidence. Soon you may even call writing among one of your greatest pleasures. Are you ready to see what our twelve weeks together will look like, topic wise? That is what is coming next, along with our session format and the next starting dates. We will meet for 60-90 minute sessions each week using Zoom each week and will also use a Private, Safe Facebook Group to share fieldwork, resources, bonuses and conversation with fellow community members. Our First Quarter Sessions will be held on Fridays at 8:30 AM PST using the Zoom Webinar Interface. Goal Check In – One or two women on “The Throne of Writing Love and Appreciation” – oftentimes called “The Hot Seat” in coaching programs. Other participants will check in via chat and or discussion group or both. Each woman will focus on three different goals to focus on during our twelve weeks together which will include a mindset and whole-self goal. After every third session we will have a Deeper Integration or Celebration Session. This will include a writing warm-up, deeper coaching around topics we’ve covered that may still not be as clear as we would like them to be, and whatever other topics I discern would benefit from further discussion. Our next session will meet Fridays at 8:30 AM PST starting on Friday, February 15, 2019. This is where program facilitators will often list a dramatic number of extras they throw in to make your purchase appear to be much more valuable. Know this: I continually create fun new materials to make your writing life easier and chances are during the time we are together I will make more of these. Because you are a part of the Writing Circle, you will be the first to hear when new value added materials come available. If you would be interested in making payment plans or adding discounted coaching packages to your tuition, please send me a message using this contact form. My intention is to make it possible to make the experience of the Women’s Writing Circle to nearly anyone willing to make the commitment to herself and to the other women in the group. 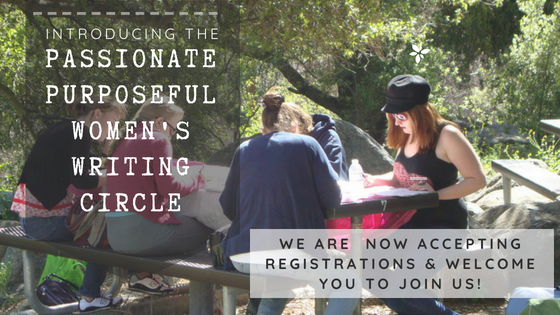 What a pleasure to offer you this time in our Passionate, Purposeful Women’s Writing Circle. For those who join us this time, it is an honor and a privilege. For those who do not join us now, please come back and visit us at the blog. I will continue to offer free content, videos, images, writing prompts, the Word-Love Writing Community, #5for5BrainDump and Set Your Words Free – let’s get those words on the page, dear ones. The world is waiting for your words. YOU have stories or a singular story or a unique solution within you: some you don’t know yet I look forward to you discovering. Let’s get them on the page!